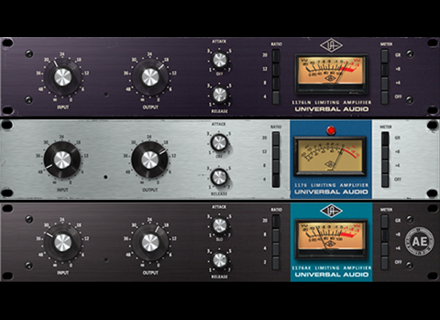 1176 Classic Limiter Plug-In Collection, Software limiter from Universal Audio in the UAD Plug-In series. LoEnzo's review (This content has been automatically translated from French)" Excellent!" The installation is done as usual with UAD pay you and you download the file permission. Then just make your day card. On a PC windows 7 64 bit 6 GB Ram Asus P5Q motherboard. Using the DSP 13% for use Mono. 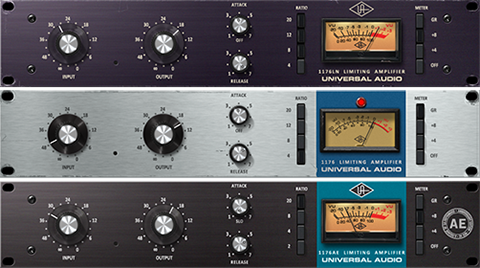 A friend has two clone Revision A and E compared to 1176 plugins difference is impressive, we just say that the result is the same, but it comes close though! The sound is fine, the record is good on my acoustic guitars, and bass. I did also try with the revision A and E on battery rendering is huge! I have a solo so you must manage the uses we quickly because 100% of the resources, but my use of 1176 is especially for the largest project tracks. After the worst I export my compression and I turn off the plugs, so I can use the DSP card again at full power.